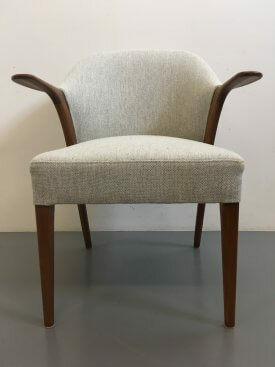 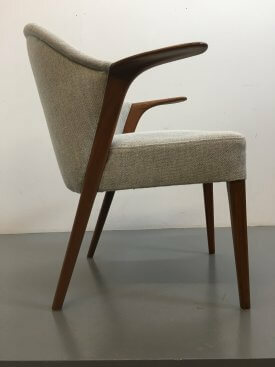 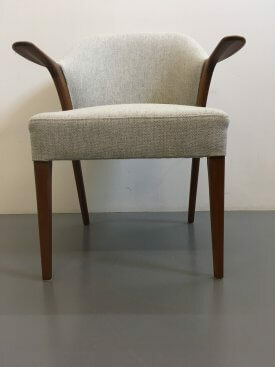 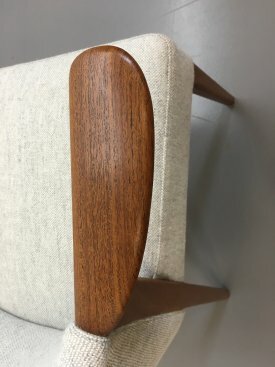 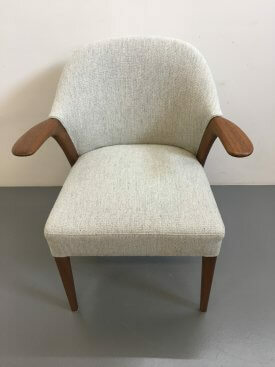 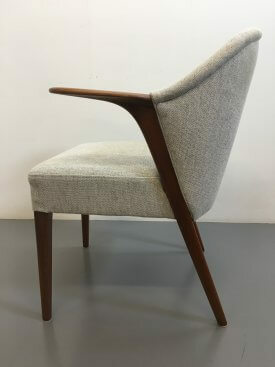 1950’s Kurt Olsen easy chair. 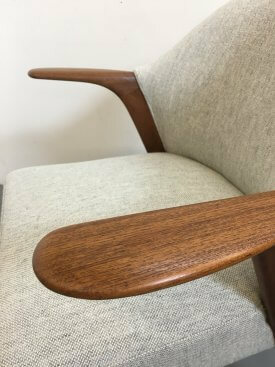 Teak, paddle shaped wing arms with bucket back & sprung seat. 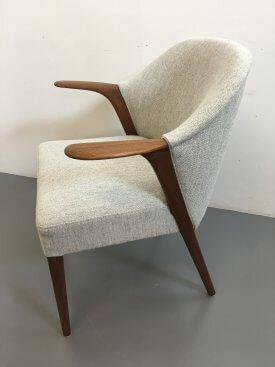 Upright seating position, though supremely comfortable. 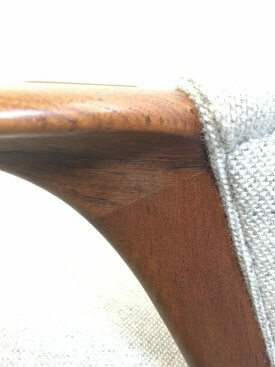 This is an early production example, by cabinet makers L. Chr. 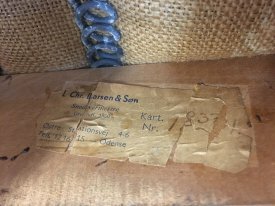 Larsen & Son, Odense, Denmark. 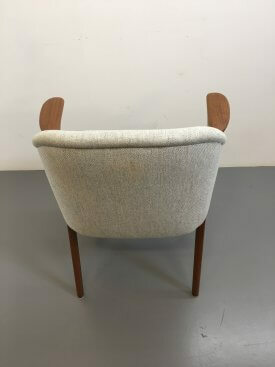 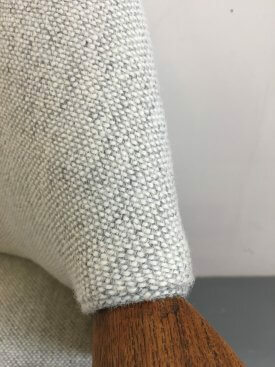 Reupholstered in wool.